There won't be a day on a trip to Cambodia that doesn't bring another great experience. With its awe-inspiring temples surrounded by jungle and the tranquility and charm of Tonle Sap Lake, a holiday to Cambodia offers plenty of opportunities to get excited about. 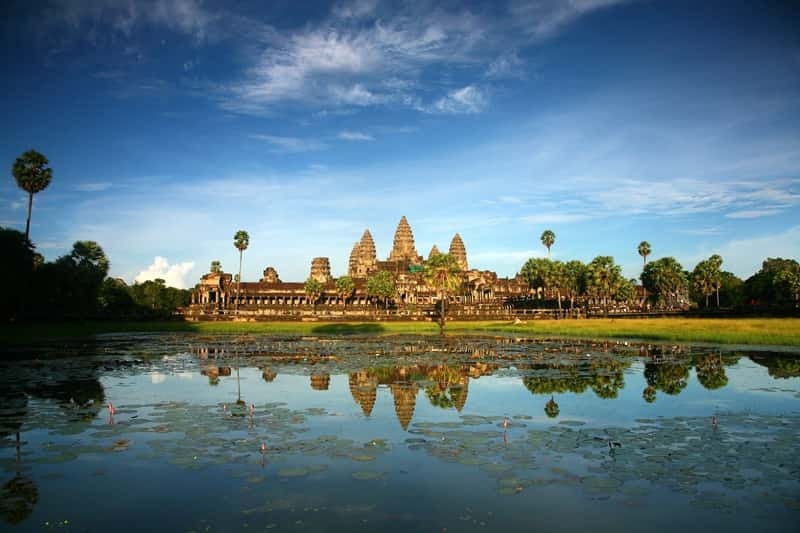 Ancient Cambodia produced one of world’s greatest civilizations at Angkor. Renowned Angkor Wat is the largest religious monument in the world but is merely one temple lying at the heart of a thousand others. An enormous and elaborately detailed complex, this ancient temple city has remained the heart and soul of Cambodia for almost two millennia. And, despite its popularity with ever-growing throngs of visitors, this is still a historical site that exceeds expectation. Included in the gargantuan complex lie legions of magical temples which attest to the ability of bygone artisans, from the intricate Banteay Srei, with its detailed carvings to the beaming faces of the Bayon. Visitors also flock to jungle-clad Ta Prohm, where tentacle-like foliage entwined around the temple provides an insight into how the whole site must have looked when it was first explored by Western adventurers in the 19th century. The town of Siem Reap has graduated from being Angkor’s service centre to become an international hotspot, teeming with modern restaurants and upmarket hotels. Fortunately, the settlement still retains much of its original charm, with old colonial shop fronts, misty lamp-lit streets and a bustling market area. It also offers access to the floating villages on the Tonlé Sap, the largest freshwater lake in South-east Asia. In the south, Cambodia’s capital, Phnom Penh, may not be the most sophisticated metropolis, but it is a charming, bustling town, with a good selection of early 20th-century modernist architecture, a strong sense of history and delightful restaurants and bars. What’s more, it offers the sort of cityscape most travellers dream of: a skyline punctuated by royal and religious spires, turrets and pinnacles rather than by office blocks. The Royal Palace and Silver Pagoda are the highlights of the capital and provide a welcome counterpoint to unavoidable reminders of Khmer Rouge atrocities.